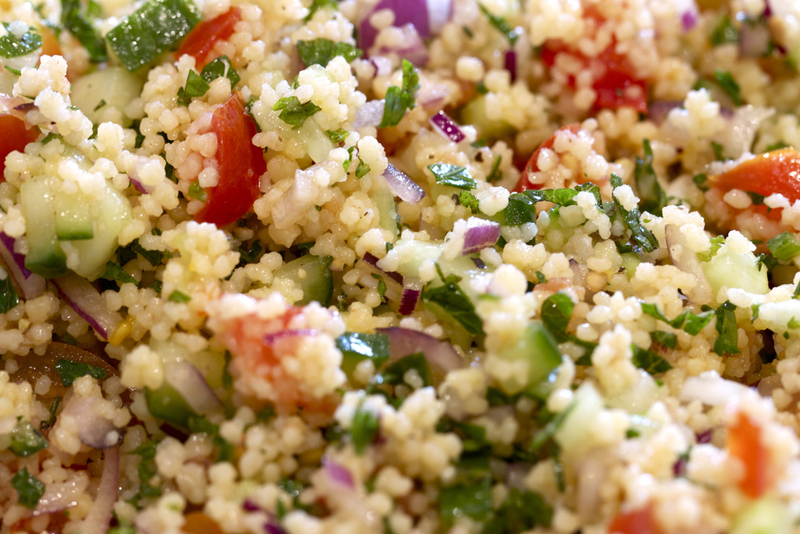 So Tabbouleh. 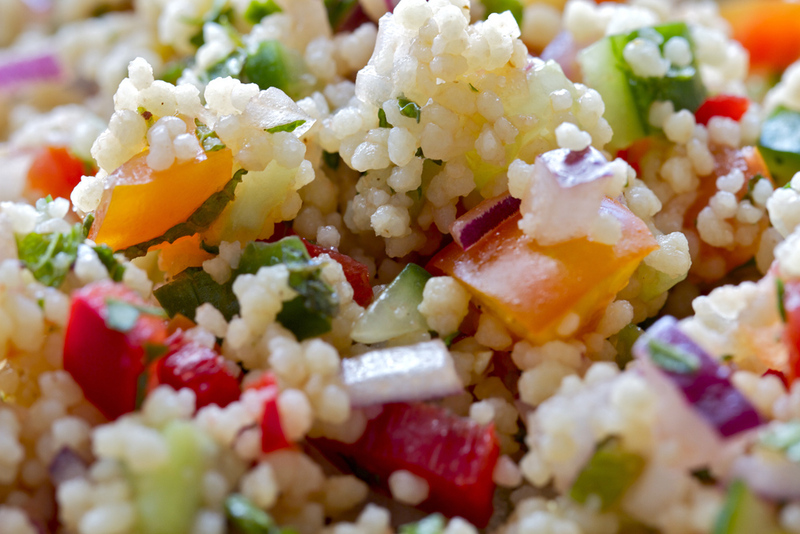 You could call it a couscous salad. Now I have to give credit to the lovely Delphine. She would probably claim she invented this dish along with Cauliflower Cheese. 🙂 The dish is originally from the mountains of Syria and Lebanon dating back to the middle ages but try telling her that. 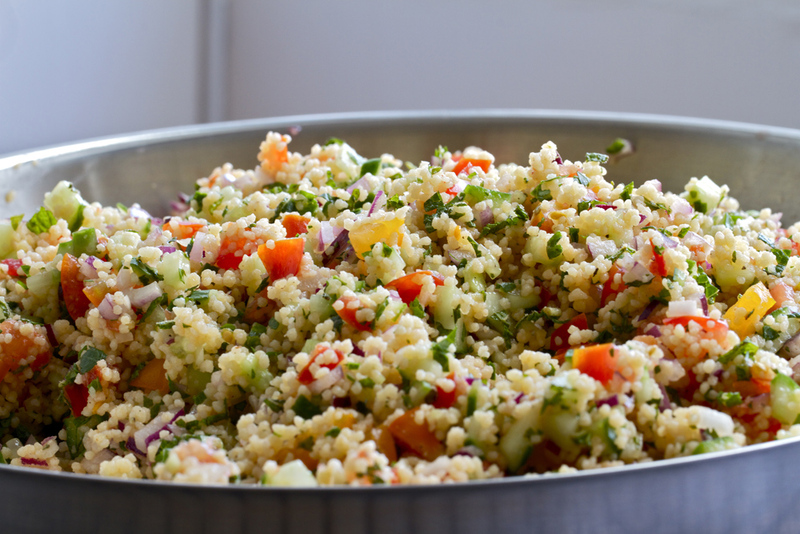 😉 She does make an amazing Tabbouleh and this is broadly speaking her recipe but with my little slant on it. It’s really healthy and light. Proper tasty healthy eating! couscous and I ended up with loads. You can have it for lunch simply as it is or for dinner with some roast lamb or chicken. One other important thing is to try to make this the day before you want to eat it. It really does benefit from having a bit of time for the flavours to develop. If you can’t do that then at least try to give it 2-3 hours in the fridge before you eat it. 1. The main part of this dish is the prep so I’ll go into a bit more detail with that. With all the vege we want to finely dice it. Try and get the bits quite small if you can. 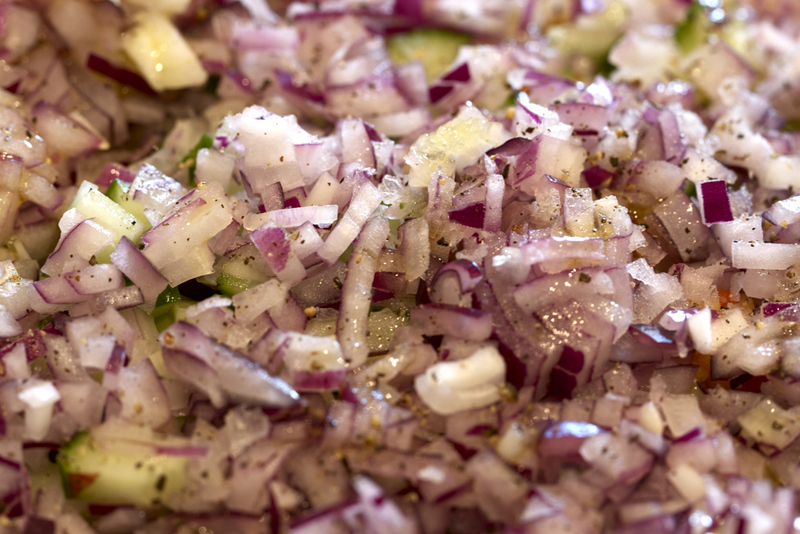 We’ll add each ingredient as we chop it. Make sure you have a nice sharp knife as it will be a lot easier. The larger the thing you use to mix all this in the better really. A nice large bowl would be fine. I didn’t have one so I used a large frying pan. 2. 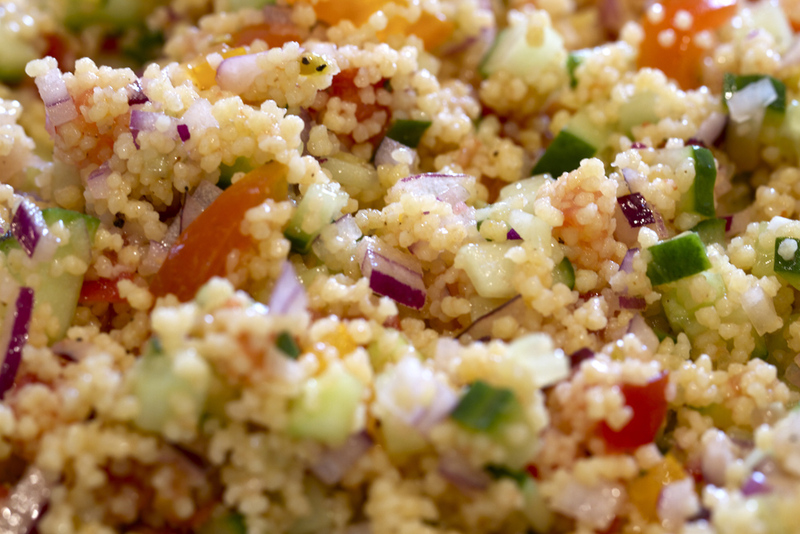 Pour the couscous into the bowl and give it a little season with salt. 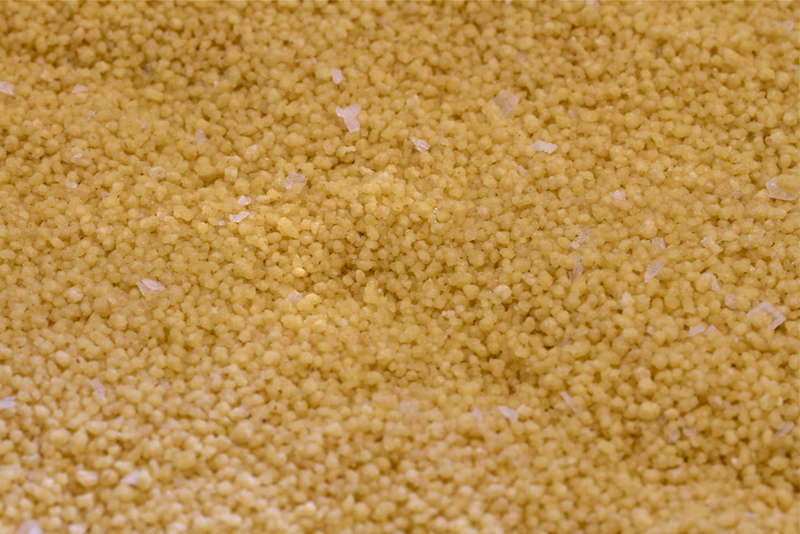 Do not add any water or anything like that, we are doing this from dry couscous. Ignore the instructions on the pack they are totally wrong for this. 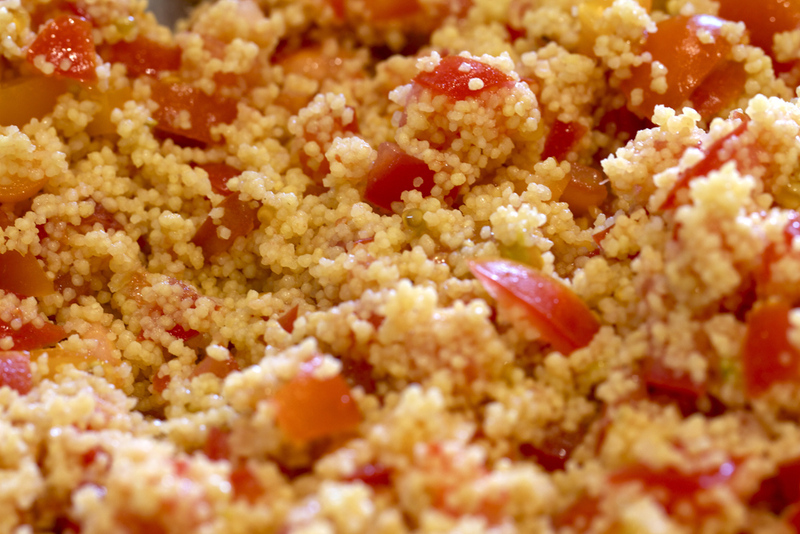 What do the couscous people know about cooking couscous I ask you!? Nothing! 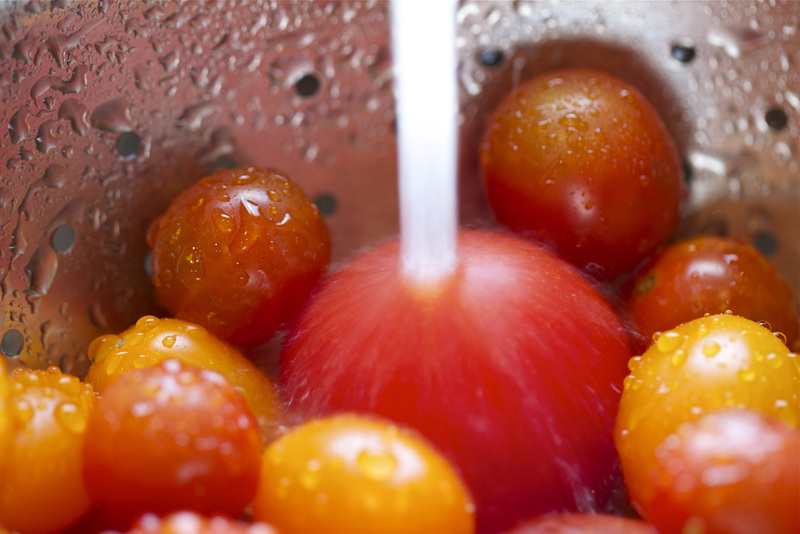 The liquid from the ingredients will be plenty to re-hydrate the couscous. 3. 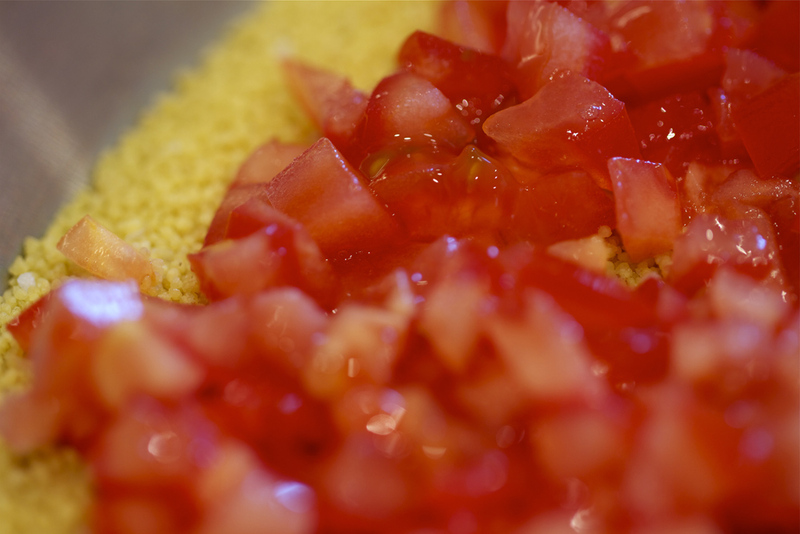 Finely chop the tomatoes and sprinkle on top of the couscous making sure to add all the juice you get off tomatoes and season with salt and add a drizzle of olive oil. Leave it like this for 1 min then with a fork mix into the couscous gently. 4. 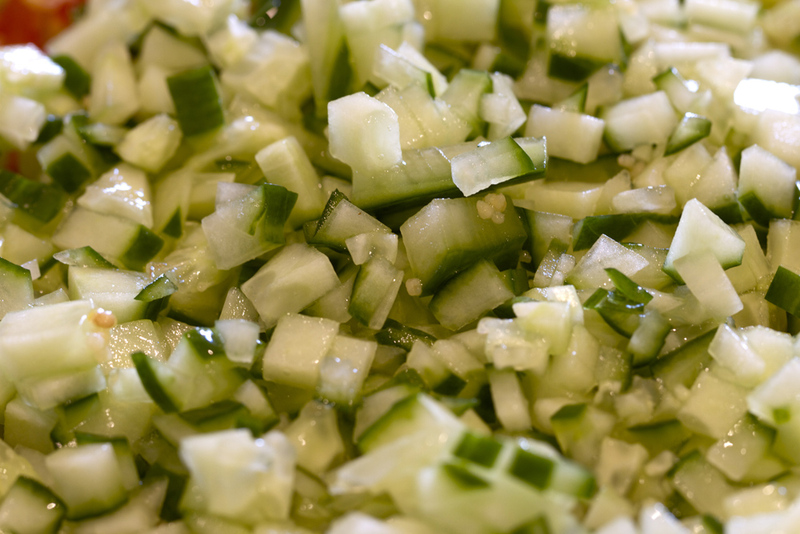 Now finely chop the cucumber and add to the couscous, again season with a bit of salt and mix well. 5. Now chop the onion and add to the couscous. 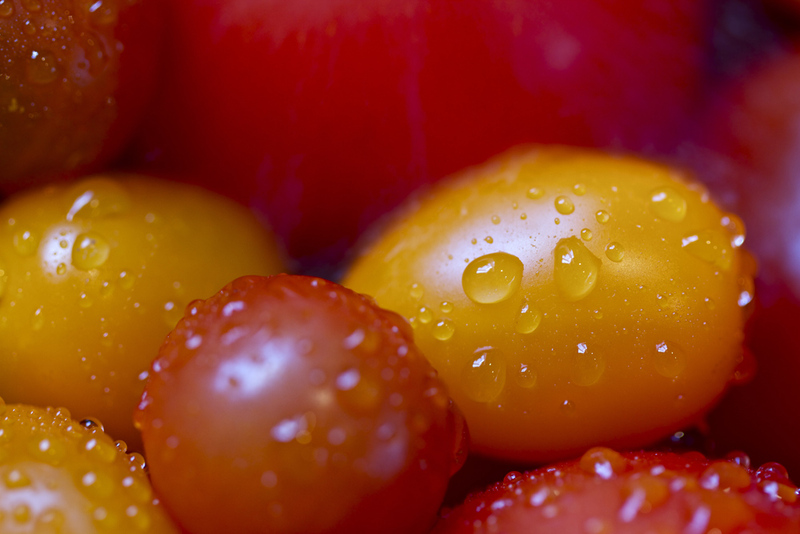 Season with a touch more salt and a drizzle more of olive oil and add a about half the lemon juice. 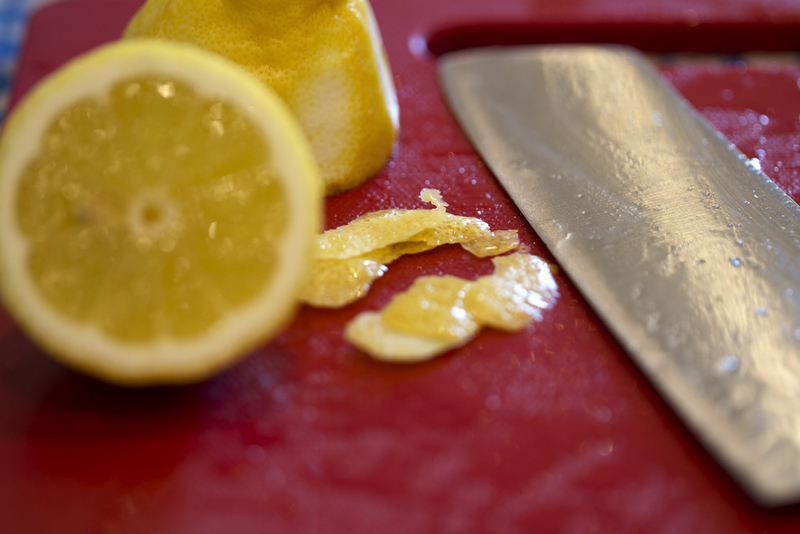 Grate or slice and finely chop some of the skin from the lemon, you only need a tiny bit. Maybe half a teaspoon. Only do this if the lemon is unwaxed. Finally chop the red pepper and add to the couscous and mix well. At this point season with some pepper. Don’t be shy with the pepper. 6. Now add the chopped mint and parsley and mix really well. That’s pretty much it really. Give it a final drizzle with olive oil and mix then cover for a few hours. After 2-3 hours or even better overnight get it out the fridge and give it a taste. Now you can adjust the seasoning. Add more mint and lemon juice if needed plus a bit of salt and pepper if you think it needs it. The time in the fridge is essentially the cooking time. If you try it before you put it in the fridge then after you take it out it will taste really different. All the flavours develop the more you leave it. If you can leave it over night then all the better. This really is so easy, give it a try and see what you think. If you’re going to have it with lunch I suggest serving it with a nice mixed leaf salad and some cold meats and cheese. Sooooo good! For dinner I’d suggest lamb. Just really simply cooked lamb chops cooked with garlic and a bit of mint. Nice.